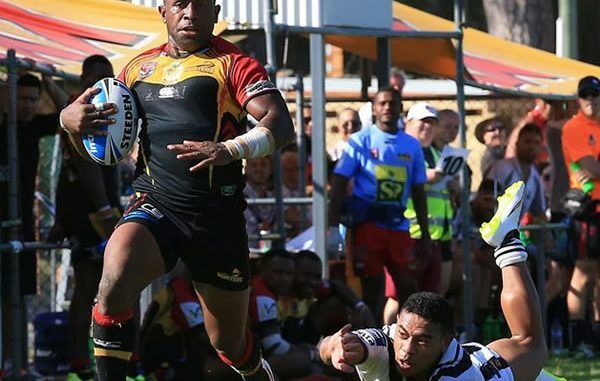 Featherstone have signed a third Papua New Guinea international for 2019 in the shape of centre Thompson Teteh. Teteh, 29, follows compatriots Ase and Watson Boas to Featherstone, who also this week announced the signing of Brad Day from Batley. Featherstone GM, Davide Longo, said: “We are delighted to have brought Thompson Teteh in for the 2019 season. “He is a player who we have been monitoring for a couple of years and has received attention from a number of Super League clubs. “Alongside Ase and Watson Boas, he will add an element of international class to next year’s squad. “He is an exciting and powerful player, who has experience at the highest level. “The addition of those qualities to the Championship exposure of our recruits from Batley and the enthusiastic hunger of the Academy stars we have signed, means our team for next season is striking the perfect balance. Teteh played for the Kumuls at the 2017 World Cup and has also played in the Intrust Super Cup for PNG Hunters and Redcliffe Dolphins.